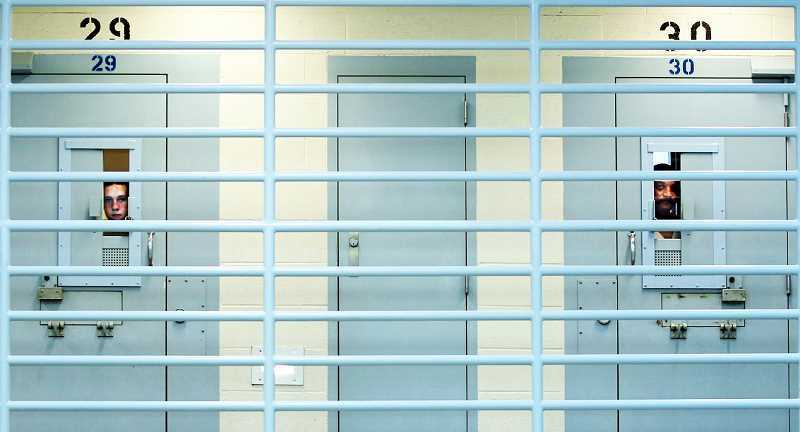 The incarceration rate in Oregon's prison system is projected to fall 15 percent over the next decade due in large part to sentencing reform. The projection, done by the Oregon Department of Administrative Services and published Oct. 1, found that recent legislation lowering mandatory minimums for crimes such as theft and identity theft is the driving force behind the reduction. The constitutionality of that reform is being reviewed by the Oregon Supreme Court. "That's really the sea shift in the last 22 years," Michael Kennedy, a state economist who authored the forecast, said. "There was a big move to be harder on crime and then what we've seen in the last 10 years is sort of a moving away from that." According to the report, Oregon prisons hold 14,875 inmates. By 2028, that is projected to be 14,356, a 3.5 percent decline. That might not seem huge, but the state's general population is expected to increase by 13 percent in that timeframe. The new forecast shows incarceration dropping lower than previously projected. In the newest forecast, the population will remain level a little longer than previously thought, but then will go into a steep decline for several years until it starts to slowly climb back up around 2023 due to an increase in at-risk populations. The noted decline is credited to recent legislation, House Bill 3078, which amends Measure 57, a mandatory minimum sentencing law for property crimes approved by voters in 2008. The history of how to sentence for property crimes since 2008 gets messy. Under Measure 57, the sentence for theft was bumped from 13 months to 18 months. Seven months after law took effect, legislators with a two-thirds majority voted to return the presumptive sentence back to 13 months, but that amendment ended in 2012. In 2017, the Legislature voted to lower the sentence back to 13 months. A court challenge ensued, contending that the state constitution requires a two-thirds majority of legislators to vote for reduced criminal sentences. The Supreme Court is now deciding the matter in a ruling expected next year. Kennedy said if the court finds the reduction in sentences is unconstitutional, it's unclear if just those portions of the law will be erased, or if the entire piece of legislation will disappear. That distinction would impact the prison population, he said. Following the measure, the incarceration rate of women rose. Looking forward, the female population is expected to spike over the next year to 1,300 inmates, before taking a plunge to just under 1,150. The population is expected to level out around 2022 and stay well under 1,200 through 2028. Overall, the female population is projected to see an 8 percent decline over 10 years due to the relaxing of property crime sentences. Legislators also approved putting some offenders back into the community 30 days before their sentence was up. However, prisons rarely exercised the authority. The 2017 law increased that time to 120 days, and prisons were instructed to follow. The goal was to reduce the growing prison population so the state wouldn't have to build another prison, Kennedy said. That tweak has already shown to be fruitful for the prison system, as the latest forecast shows the system is using 45 fewer beds than expected. Since 2017, around 70 percent of eligible inmates have been released early, Kennedy said. That's coupled with the justice reinvestment program, which gives counties grant money to fund for community-based programs and services to be used as an alternative to incarceration. Kennedy's forecast considers all current state laws. But it doesn't anticipate new ones. To account for that, Kennedy looked at the historical variance in the prison population, which is influenced by new laws. With that information, he determined there is a 95 percent probability that the actual population in 2028 will differ from the forecast by up to 11 percent. Kennedy said research shows long sentences don't provide much deterrent, especially for heat-of-the moment crimes, which are often not repeat-offender crimes such as theft or drug crimes. "These minimum mandatories only have an effect through incapacitation," he said, adding it's also an expensive way to fight crime. But Kennedy also said he doesn't foresee massive criminal justice reform in Oregon. Much of that has already taken place, he said. The one major law left is Measure 11, Oregon's mandatory minimum sentencing law. Kennedy said the 2017 legislation was basically the result of a bargain between the Legislature and Oregon district attorneys, judges and sheriffs. The results of the negotiation, he said, was that Measure 11 won't be touched. "Prosecutors love Measure 11," he said. Kennedy said prosecutors use Measure 11's long sentences as leverage to get defendants to take plea deals.